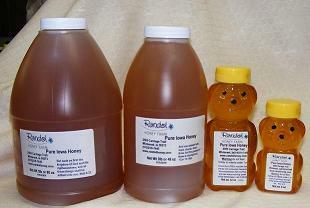 Our honey is unpasteurized. We uncap our honey and then strain it so as not to damage any of the nutrients contained in our honey. (Over wintered honey however has been warmed to no more than 110 degrees to just uncrystallized it.